The problem with most sports cars in that they drop in value quicker than cars and SUVs. So you lose more money when you buy one and give more away when you sell. But there’s one sports car that retains its value better than all others. Edmunds just came out with their Best Retained Value for 2019 list and the 2019 Subaru WRX/STI scores “Best Sports Car” on the planet again. What does having the best residual value do for WRX/STI owners or potential owners? You might ask, what’s in it for me? Even though the 2019 sport-tuned WRX and performance-tuned WRX STI are different cars, they are lumped into the same sports car category for this award. According to Edmunds, they have the highest projected private-party residual value five years after their launch better than any other sports cars. This segment is typically known for their value dropping quicker, but not the WRX/STI sedans. If you are in the market to lease or buy one, it’s better for you to get a new 2019 Subaru WRX or WRX STI than it is to buy used. If you’ve tried to purchase a previously owned WRX or STI you’ve found this out. The value of a used WRX STI is just a few thousand dollars less than a new one. This is especially true if you live in the Northeast, Rocky Mountain or Pacific Northwest where the brand is even more popular. Best In Retained Value also means the WRX/STI will help you maximize your money at trade-in and the WRX tends to have lower monthly lease payments than other sports cars. You can lease a 2019 WRX for $345/month, or you can get 1.9 percent financing on all new 2019 WRX models now through April 30, 2019. You Might Also Like: Are You Ready For Electrified Subaru WRX STI With A CVT Gearbox? Subaru also scored Edmunds 2019 Best Retained Value for the Impreza sedan and 5-Door compact cars and the Crosstrek SUV in their respective categories. The 2019 Subaru Impreza wins Best Retained Value: Compact Car and the 2019 Subaru Crosstrek gets Best Retained Value: Compact SUV. This is the fourth year in-a-row the Subaru WRX/STI has scored the award from Edmunds. 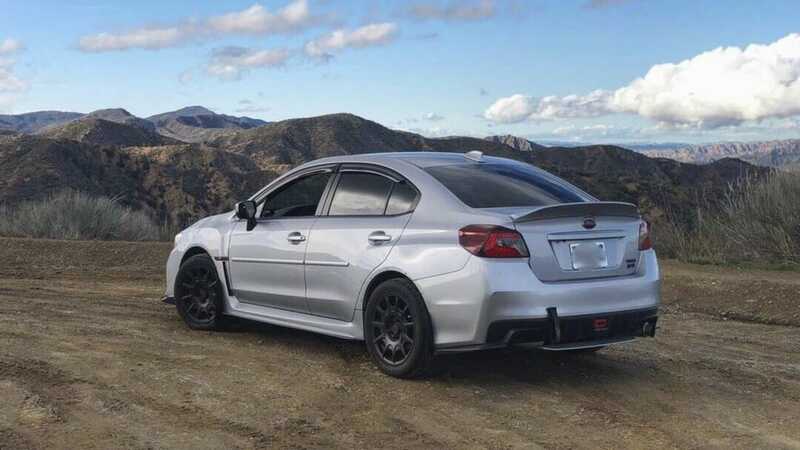 The 2019 Subaru WRX and WRX STI are the best sports cars at retaining their value which means they will save you money when you buy and also when it’s time to trade them in.